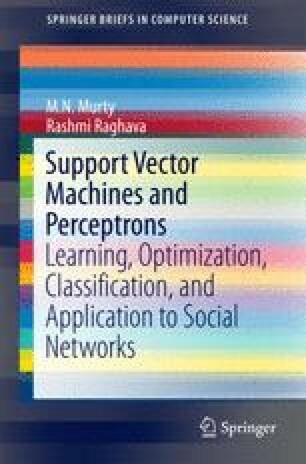 Support vector machines (SVMs) have been successfully used in a variety of data mining and machine learning applications. One of the most popular applications is pattern classification. SVMs are so well-known to the pattern classification community that by default, researchers in this area use them as baseline classifiers to establish the superiority of the classifier proposed by them. In this chapter, we introduce some of the important terms associated with support vector machines and a brief history of their evolution.